I’m on the move a lot and pack food wherever I go to make sure I don’t find myself in line at a drive-through because I’m starving. These bars are great before or after workout or if you know it’s going be be a little while until your next meal! I love making things myself, that way I know what’s in them. No preservatives, I can control the sugar and salt. Best part you can add whatever you like – make them to your taste! 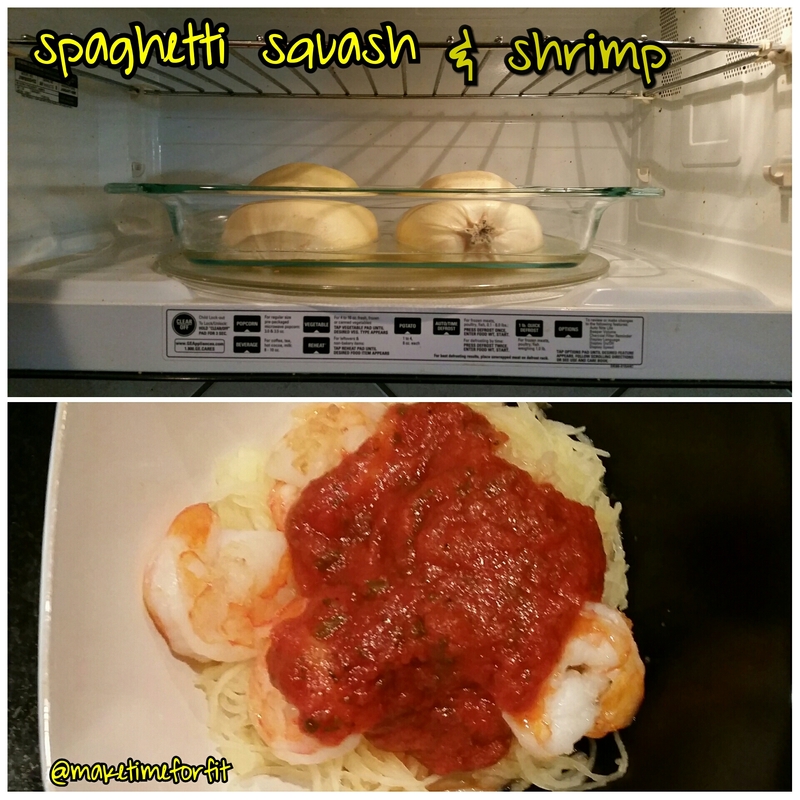 I modified this recipe off a friend’s shout out to Pam Carroll! 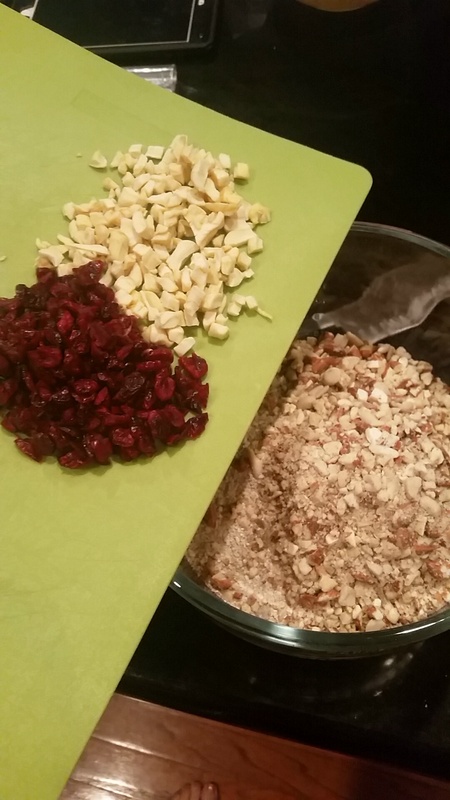 Chop up all the dried fruit and nuts. 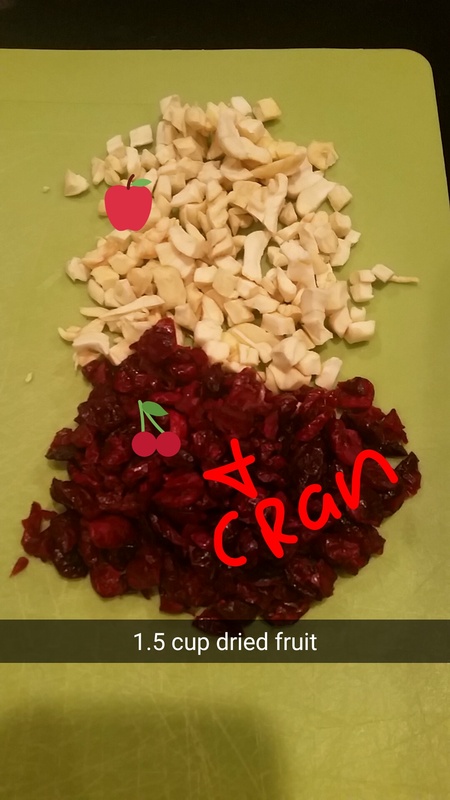 Do your best with the fruit, it’s kinda hard to chop. 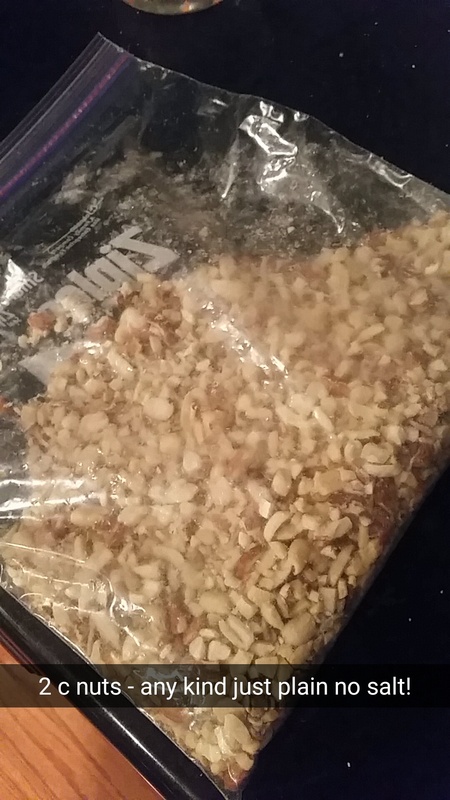 For the nuts I either pulse them together in food processor or place in a baggie and smash them! Both ways have their benefits. 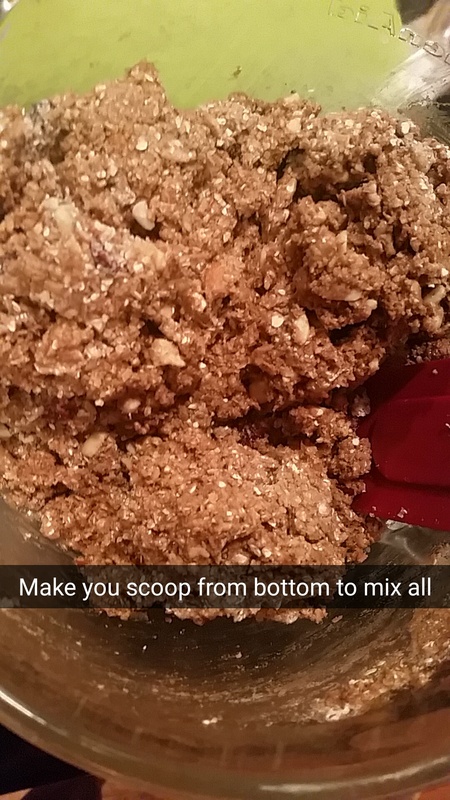 In a BIG bowl mix all dry ingredients, oat flour, protein, nuts, dried fruit, flax, chia seeds. Set aside. 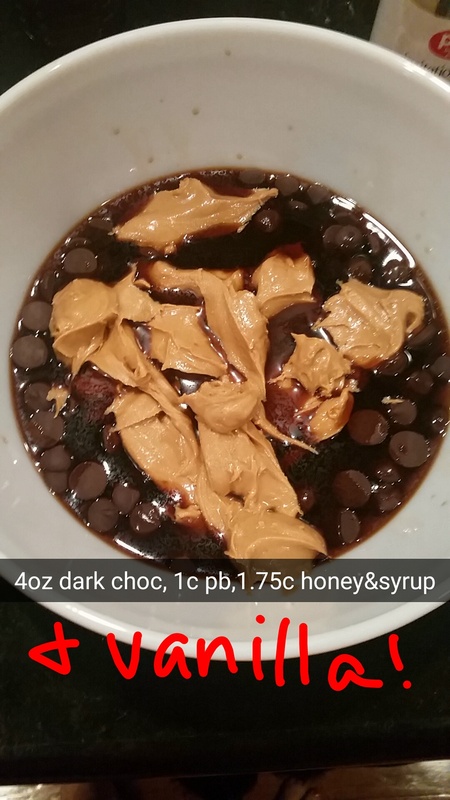 Next place chocolate, peanut butter, vanilla, maple syrup and honey in a bowl. 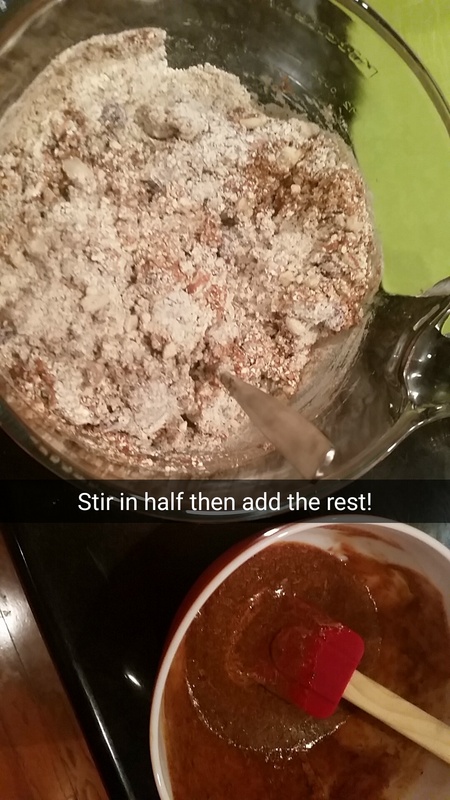 Microwave it for about 20 seconds and stir, repeat until all melted and stir together. 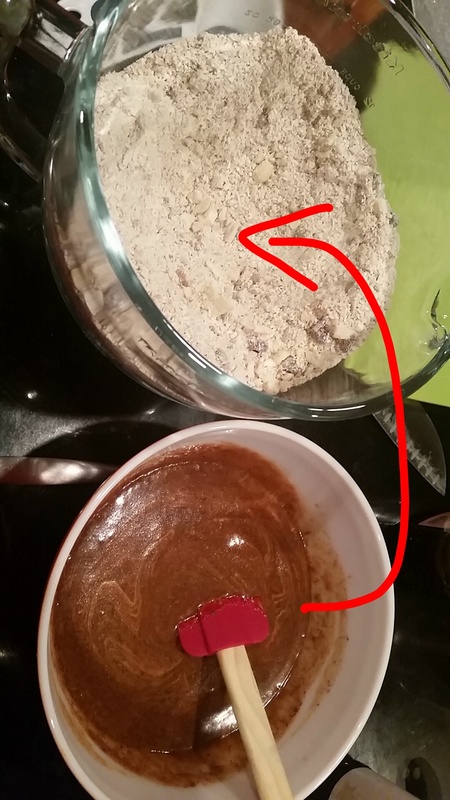 Make a little well in the dry ingredients and pour in half of the peanut butter mixture. 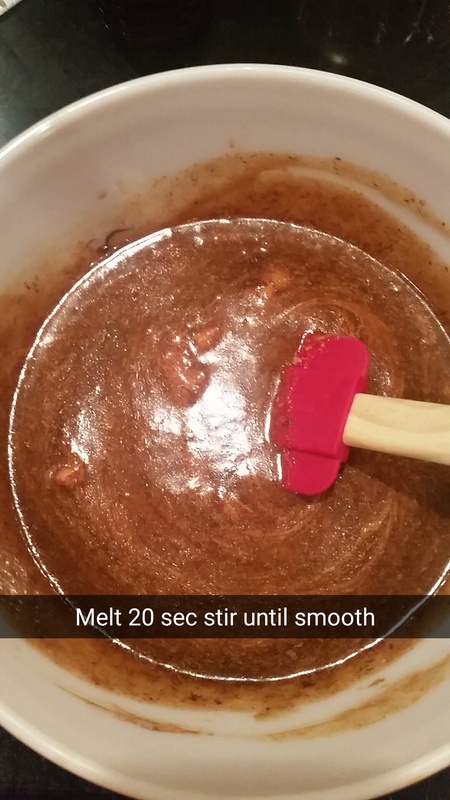 Stir! 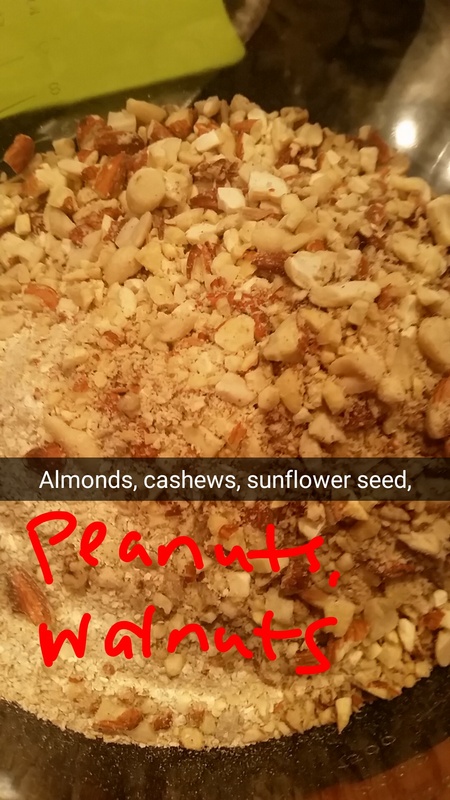 This is actually a workout in itself, try to scoop from the bottom to top to mix everything. Then add the remaining peanut butter mixture. Again stirring from bottom to top, the batter will look clumpy. Next pour mixture in 13×9 pan and press it down. 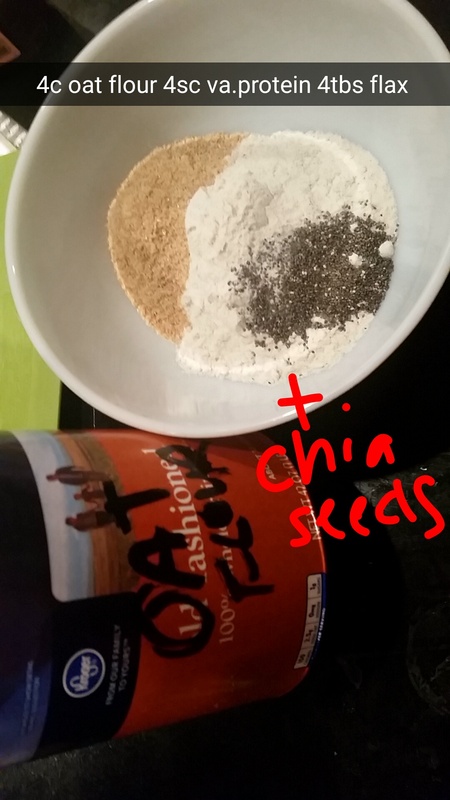 If you see some of the dry ingredients not fully mixed you can mix in the pan. Using spoon or spatula press mixture into pan in a even layer. Cut in to bars and enjoy! No baking necessary! 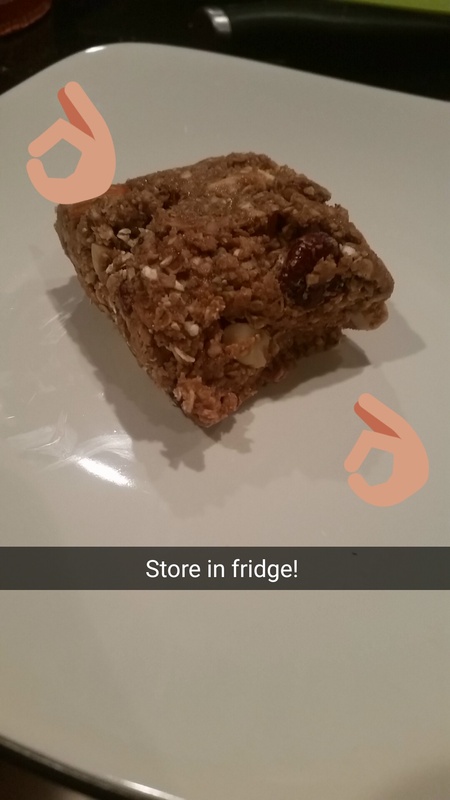 Store them in the fridge! These definitely took me a few times to get them perfect but they always tasted great. Here are pictures of the whole process! Get in shape with a deck of cards! Assign an exercise to each suit and go through the deck and do the number on the card…Jack, Queen, King =10 and Ace = 12 – this will get you through 96 of EACH. 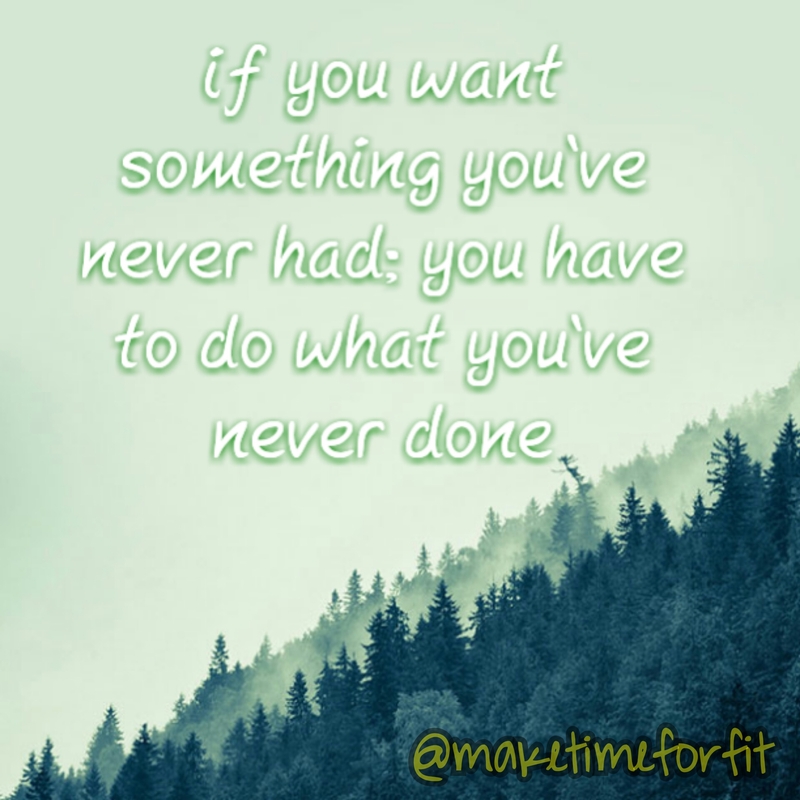 It’s fun to do with someone and you can while you’re watch tv or a movie or if you don’t feel like going into the gym. You an easily do at the house, apartment or hotel!